One simple process. Two sophisticated materials. A multitude of uses. 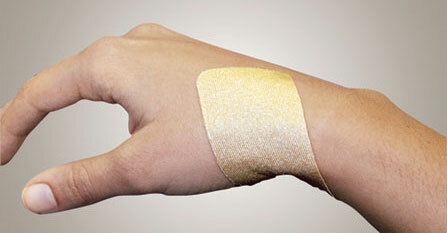 Silon-LTS® is indicated for the management of hypertrophic scars and keloids. Particularly useful for areas where scar contracture is expected, Silon-LTS® can be formed into various splints to provide extension and silicone therapy simultaneously. 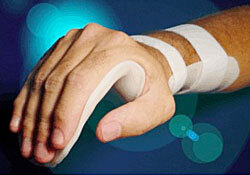 Thermoplastic Splints are a cornerstone of your practice. Silon® has proven its usefulness for the management of hypertrophic scars and keloids. Now both of these modalities have been combined in a single one-step product! 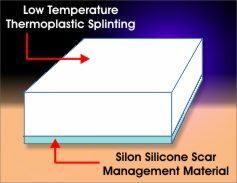 Silon-LTS® is the first product ever to combine low temperature thermoplastic splinting with a therapeutic surface of Silon®. Soften it in warm water and use your customary forming techniques—that’s it!